Jennifer, who hails from Onitsha, made the plea when she paid a courtesy visit to Igwe Alfred Achebe, the traditional ruler of Onitsha on Tuesday.Atiku is the main challenger of the All Progressives Congress (APC) candidate, President Muhammadu Buhari. She has urged residents of Onitsha to vote massively for the party in the 2019 general elections. Mrs Jennifer Atiku is the wife of Alhaji Abubakar Atiku, the presidential candidate of the Peoples Democratic Party (PDP). “I am your daughter and your in-law is my husband. 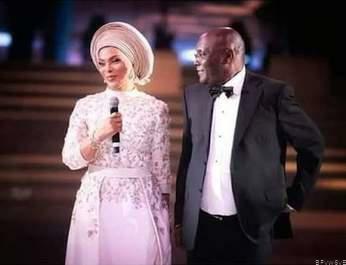 You asked me to marry him and here I am today to seek your support for his presidential ambition. “Please, do not let us down,” Jennifer, who was accompanied by Mrs Margret Obi, wife of Mr Peter Obi, the Vice Presidential candidate of the party, pleaded. Jennifer expressed optimism that a PDP government would guarantee the desired economic and social development of the country.